All I've been thinking since I've got back off holiday is Christmas. Christmas shopping. Christmas food. Christmas cards. And simply not having enough time to prepare. So I decided I needed a break. No, not another holiday! I just needed an hour in my craft room making a handmade card that wasn't Christmassey (yes, that's a word). Okay, so I don't know anyone getting married, this year or next, but that doesn't mean I can't enjoy spending some time making a wedding card. Sometimes, when I craft for fun, I just pull out some cardstock and DSP in colours that I love. I choose which colours to combine, or simply stick to a single colour theme. 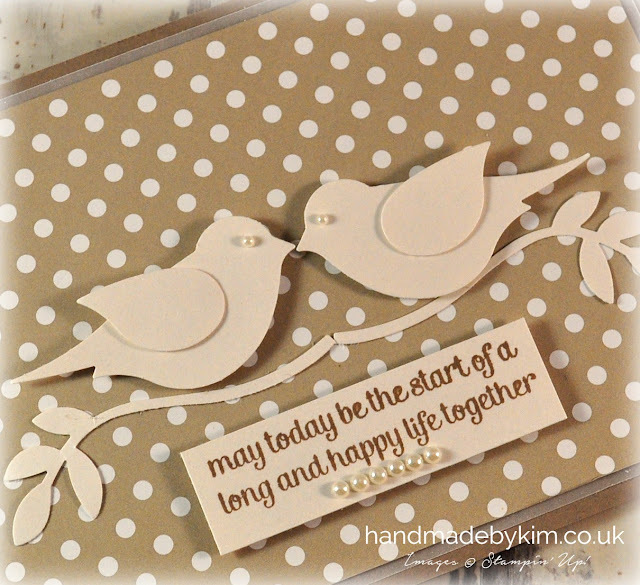 I then cut and score my card base and add a layer or two.... I then think about what stamp set I am going to use and what is going to be the main feature of the card. I've had the Bird Builder Punch for well over a year and I have never used it. 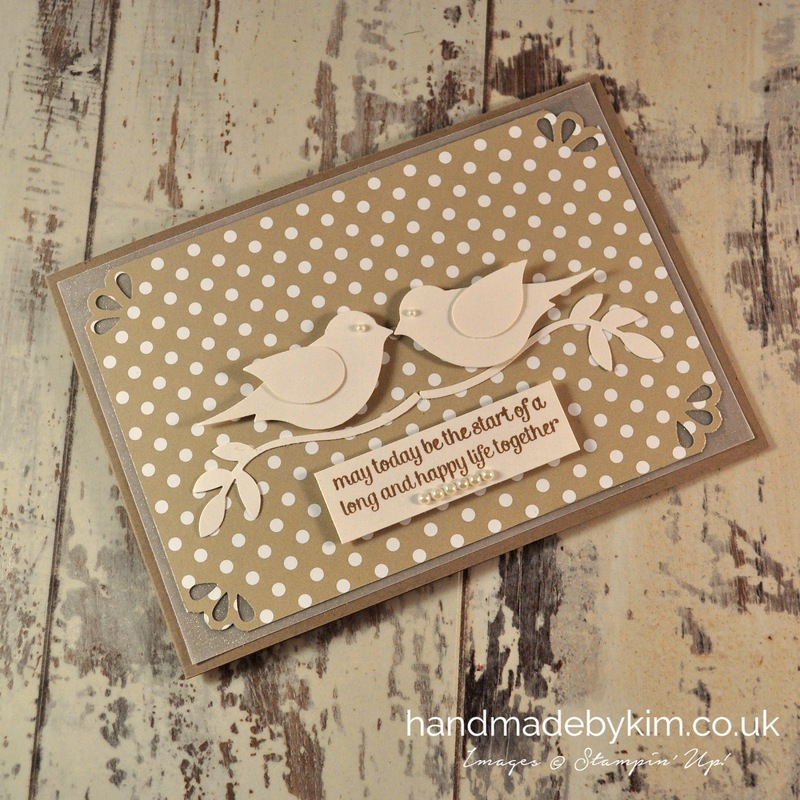 Having prepared my base, I knew I wanted something white in the centre of the card, so I used the Shimmery White cardstock to punch out the birds and added a small sentiment using the For The New Two stamp set. I hope you enjoyed this project today. I love crafting for fun, make sure you find the time to do this as well as crafting for specific occasions or workshops. Sometimes when the pressure is off, creativity comes along natually. I would love to give this card away. 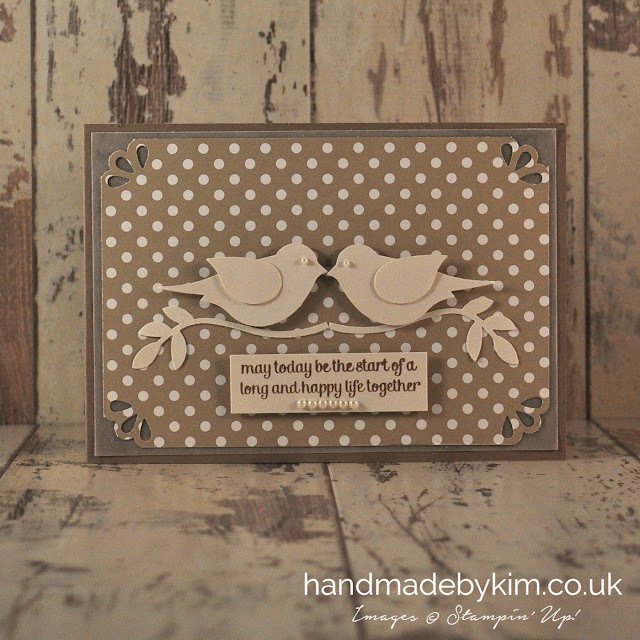 Anyone who leaves a comment or subscribes to my blog will have a chance of winning this card. I will check back in a week and will pick someone randomly to send this card to.